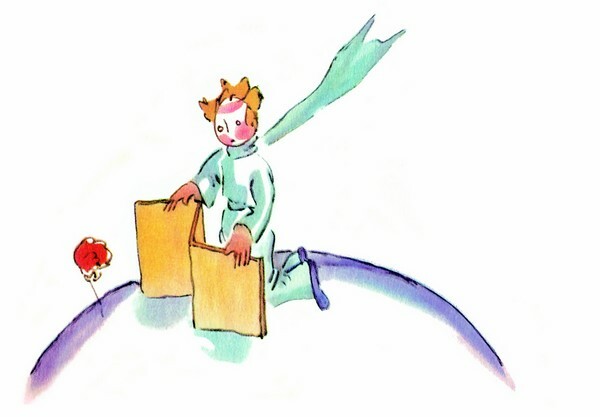 “…What does that mean–‘tame’?” [said the little prince]. Two days ago, on August 19th, I celebrated my 29th birthday. It’s scary to be careering towards 30, I must admit, with so many questions unanswered in my heart. The stabbing fear was dulled by the outpouring of goodwill I received. Through these messages– on Facebook and Instagram and in reality–, the phone calls, the laughs, the profound repartee, the meals, the gifts, the “Oprah Lighting” and the “Demarchalier moments” (inside jokes abound) I was reminded that I have indeed been tamed by so many beautiful people, each unique to me in all the world. I am thankful. 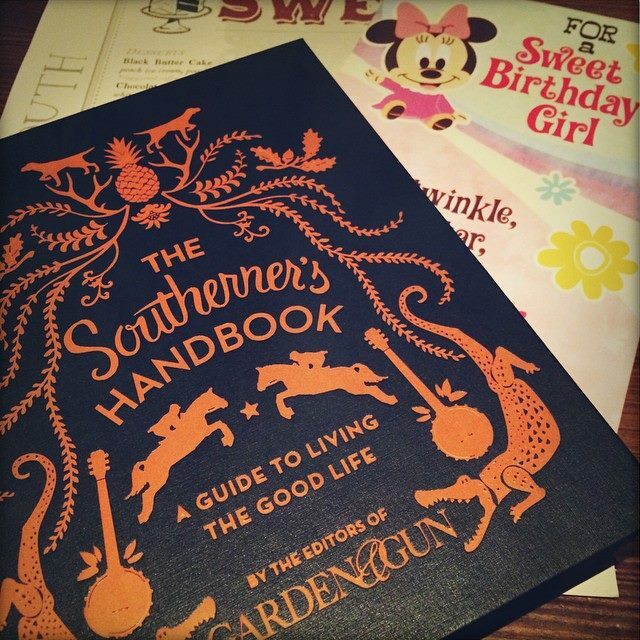 At dinner, my mentor, after having galvanized a restauarant full of people who do not know me from Adam to sing Happy Birthday to me, presented me with the most darling gift: a book entitled The Southerner’s Handbook: A Guide to Living the Good Life. Her inscription so eloquently read, “No matter how high your star rises, always remember that you will have a home here in The South and in my heart”. Her unique gift is emblematic of her unique presence in my life and frankly, on this planet. I have hardly before known such kindness as this rose has shown me as I excavate the world in search of my purpose and place. She has tamed me. I am thankful. She also reminded me of how much The South has tamed me and the strings and ties that will always keep a part of me anchored here. 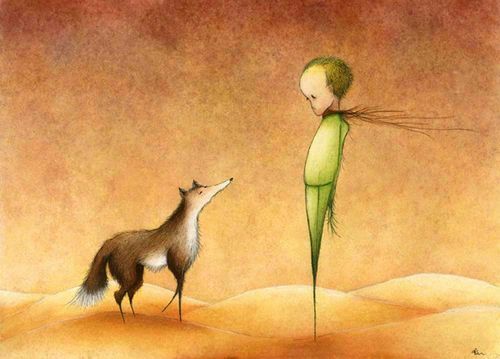 In truth, I do not see this as my ultimate destination– if there is any such thing– and I have very often grown peeved with life here and frankly, peeved with myself for my inability to uproot my tree from a soil whose fecundity I do not always feel. As I sense that I am closer and closer to leaving my life here behind, I am beginning to understand all that my existence here has afforded me in terms of friendships and heartbreak, singular experiences and everyday joys and of outstanding models of people living a life of passion not matter how small or large the stage. No matter where I end up, I will especially remember that my time here is responsible for drawing me into the practice of the discipline of yoga known as Iyengar Yoga. I am thankful. While I celebrated life two days ago, someone who has tamed me immensely breathed his last breath. 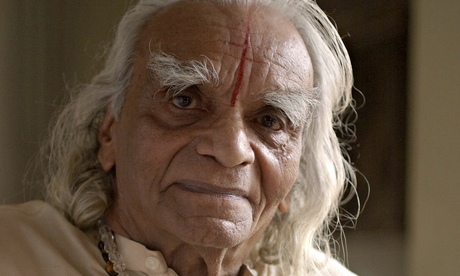 Guruji BKS Iyengar left his body after 95 years of light. Mr. Iyengar is the guru responsible for fostering the global explosion of Yoga through his iteration of the practice which emphasizes careful attention to alignment and a profound understanding of the poses that are but a somatic subset of the multi-limbic practice of yoga. 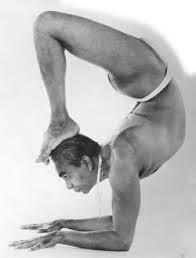 At the age of 18, BKS Iyengar was sent by his guru to teach in Pune, India and it is here the developed his own methodology of practice and eventually founded his own institute that now has tentacles as far away as here in Atlanta. His was a light that burned majestically in his little corner but lit up the earth. His candle’s wax may have waned, but like a bright star that twinkles after it’s gases have long stopped burning, his presence will never fade from my life and the lives of others. It is through yoga that I came to truly understand that what makes us civilized, what makes us tame, is our compassion. To be compassionate is to experience every being as “unique in all the world”, just as every pose is unique every time one attempts it, an outlook I am working to be stronger in with every breath. 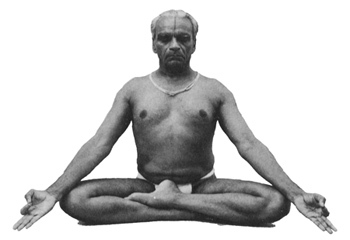 When the yogi chants ohm, he does so in honour of his connection to the soul of the universe; he does so to tie him to that which is greater than us– the collective consciousness– and that which is great within him and in so doing, paradoxically, marches ever closer to an unfettered existence. For Mr. Iyangar’s life and light, I am thankful. 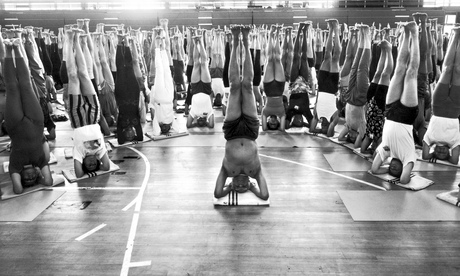 Because Mr. Iyengar’s light was not a physical one, it is eternal. I bow to the divine light within you all.